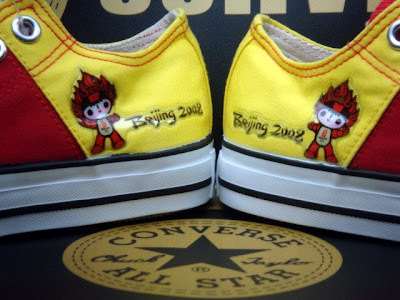 Early this month I posted up pics of some Beijing 2008 Chucks with the Olympic font and ring logo under the clear outsole. 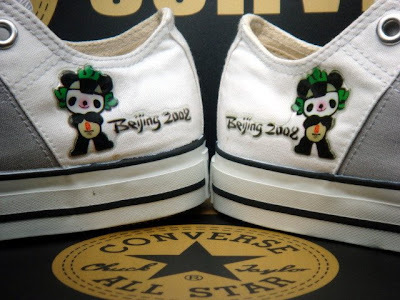 Today I am back with some Beijing Olympic chucks, but this time they have the Olympic mascots on the shoe. 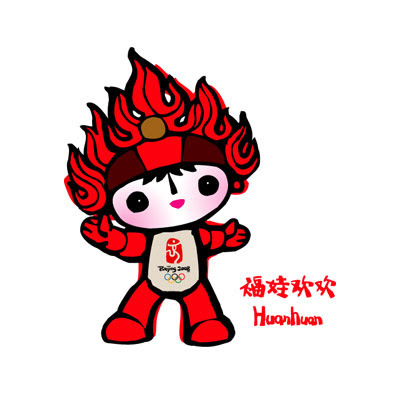 The mascots known as the Fuwa, each represent many Olympic and Chinese elements . You can learn more about them here from W. Today I have two of the 5 Fuwa, Huānhuan and Jīngjing. 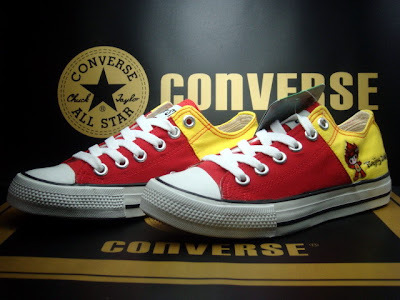 Huānhuan represents the Olympic Flame along with the element of fire. His personality is to leans towards being an extrovert and being enthusiastic. He represents in ideal of Passion and represents all sports played with balls. 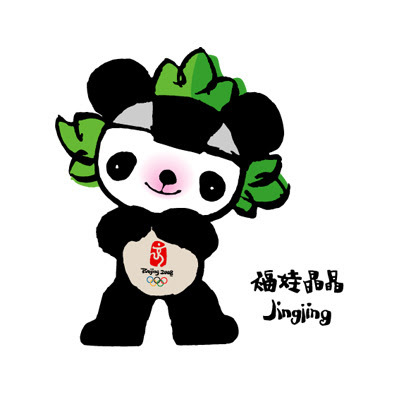 Jingjing represents the Giant Panda and the elements of Forest and Wood. His personality is to be honest and optimistic. 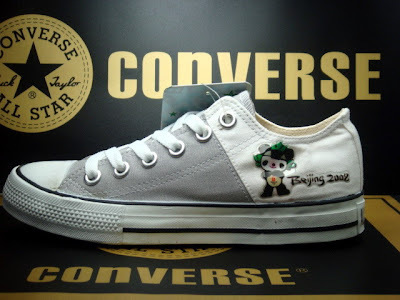 Jingjing also represents the ideal of happiness. He also represents sports like Judo and Weightlifting. 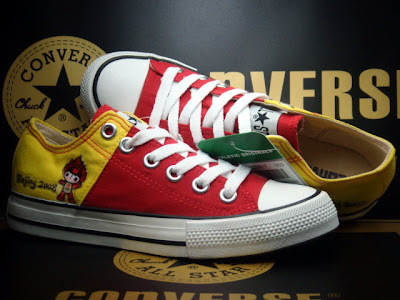 I am looking for the shoes of the other 3 Fuwa, so I hope to find them and post them up later. I hope to have a new poll up later this week so watch out for that. 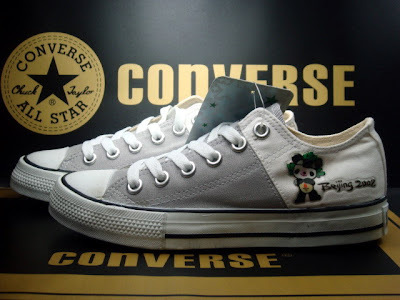 Thanks for checking the Fuwa and the Converse blog.